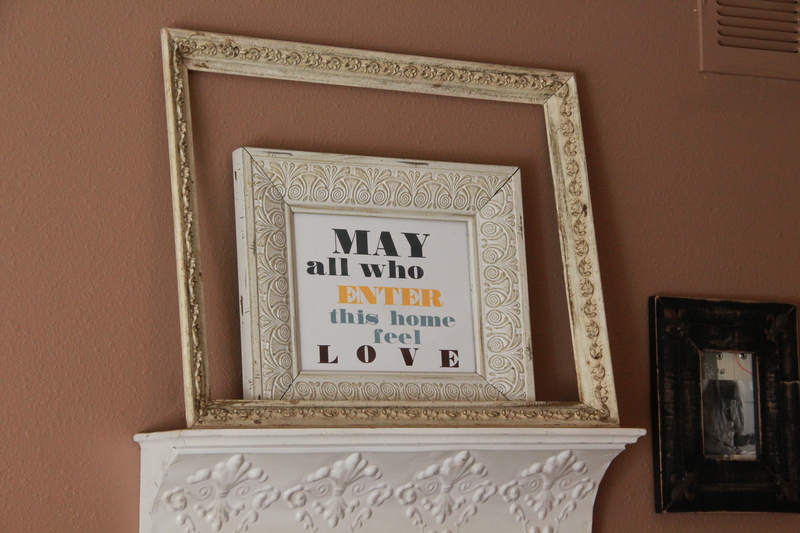 It is a whopping 10 degrees here in Colorado….a good time to stay in and put up holiday decor…. This smiley Santa has been in my family for years…I grew up with it. My mom crafted him from simple felt and sewed mini pockets on his body to represent the days of Advent….or the twenty-four days until Christmas. 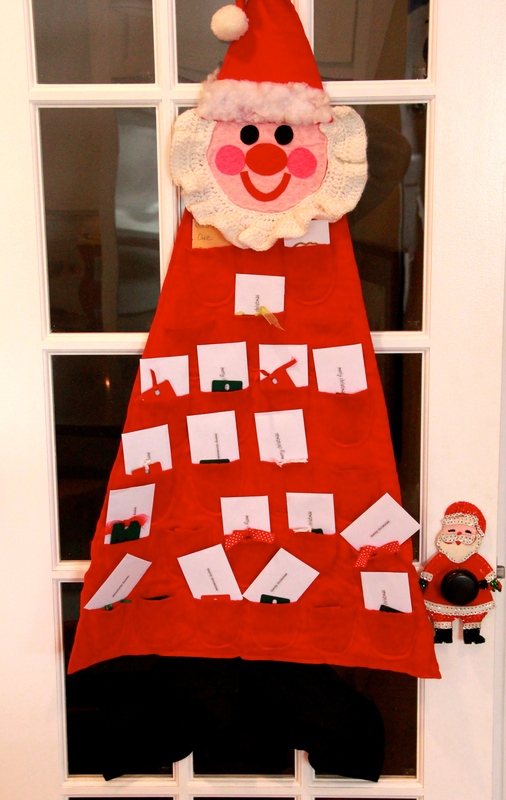 Traditionally, Advent Calendars entice the children to “open something”(usually candy) each day on the countdown to Christmas. This calendar growing up and with my own children has not been much different, but I decided to do something a bit different this year. 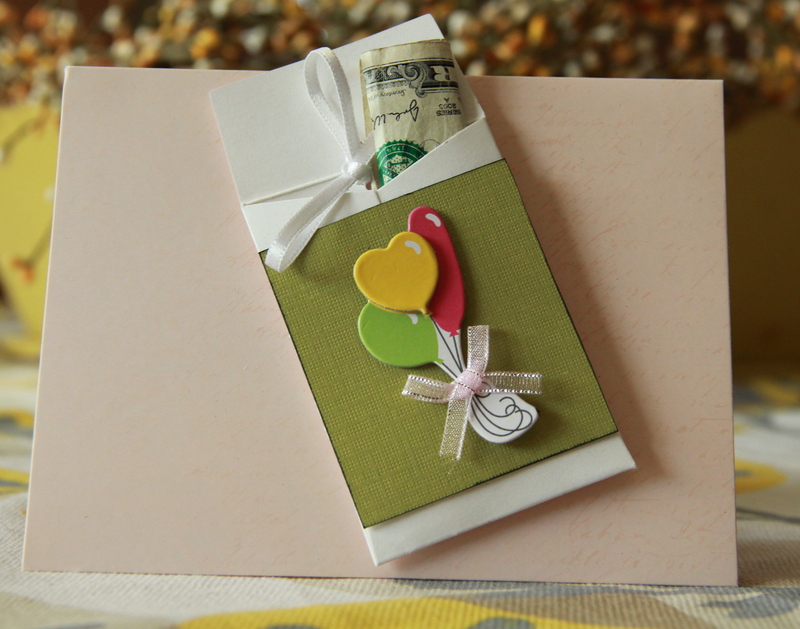 For each day, I made a “coupon”….child specific and involving an act of service from Mom or Dad. 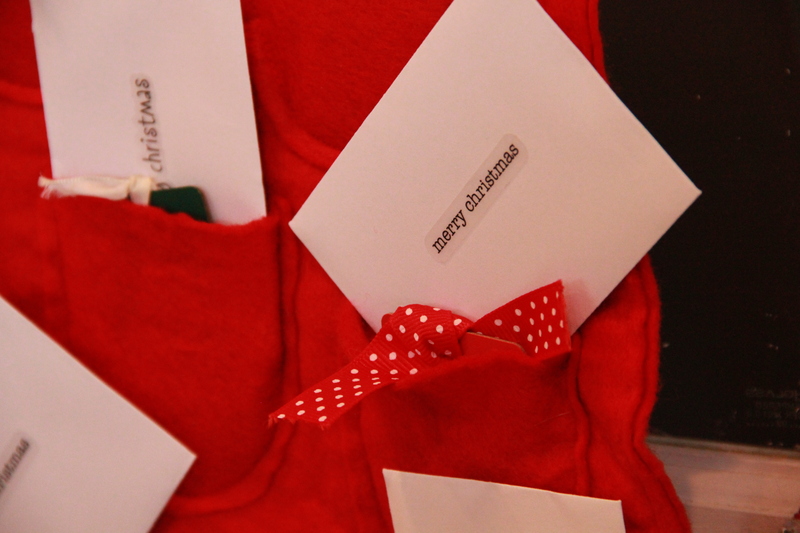 We all know how materialistic this time of year can become, so I decided a good way to prepare our families’ heart for the season is to show examples of true giving. So, when it is their day (each pocket has a tag with their name on it inside) one of my kiddos opens their coupon. When I told them this is what I was doing….you could hear grumbling and groaning about not getting candy. However, when the first few coupons were for “an early dismissal from school for no reason” or ” a day off from piano practice” or a “trip with Dad (alone) to get an Icee”….their tune changed to that of sweet, caroling angels. The point is to be child specific and thoughtful and of course…..SIMPLE. The example of true giving hopefully will rub off on the children…. Or…perhaps while giving of yourself to your children, your own heart will be full of cheer and the Joy that comes with the true meaning of the season. Is there a Thanksgiving “Season”? Three ways to make the most out of November. It is true. The time between Halloween and Christmas goes quick. We stop only for a brief moment to take a day off, stuff ourselves with Turkey and now, unfortunately, use the day to trample over our neighbor to get the deal on the big screen TV. Not for me. Not the way our family rolls. Why not take the time to prepare for Thanksgiving? Just like for Advent/Christmas, I think the busy weeks heading up to Thanksgiving is a perfect time to reassess family and personal goals, list blessings, think about the needs of others and truly get ready to come together and “give thanks”. Here are a couple of ideas you can do at home. Our family did this some years ago, but it has been a life saver for us. It is a way to give our family purpose and above all helps me explain to our children why we do the things we do…..”it is a part of our mission”. *When people describe our family what do you think they say? *If we were a famous family what would be most known for doing? These questions will get the conversation going. Write down the results and then try and come up with a catchy sentence that can serve as your overall mission statement. Then, hang that baby up on the wall! This statement encompassed a bunch of things for us….how we treat each other, how we treat others, hospitality, neatness, faith, fun and so on. 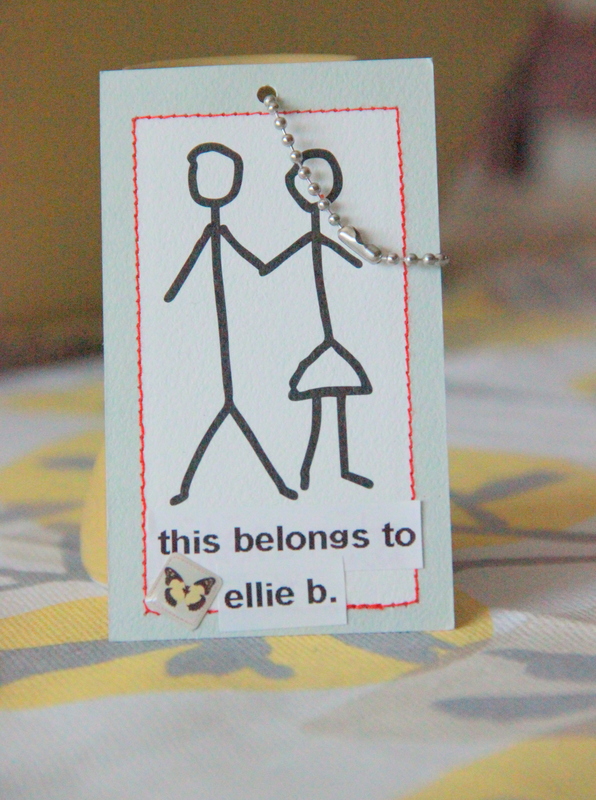 This took ten minutes to make and an old frame…..
Ok. The most thinking that goes on in my house is well…. 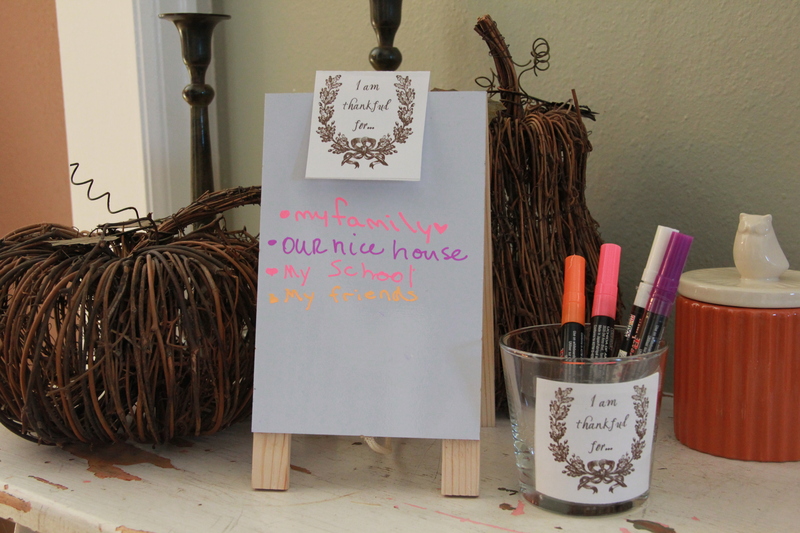 The picture doesn’t show the exact location of this, but a simple board and pen where family members can list what they are thankful for can help slow things down and remind us of the abundant gifts we enjoy in our daily lives. 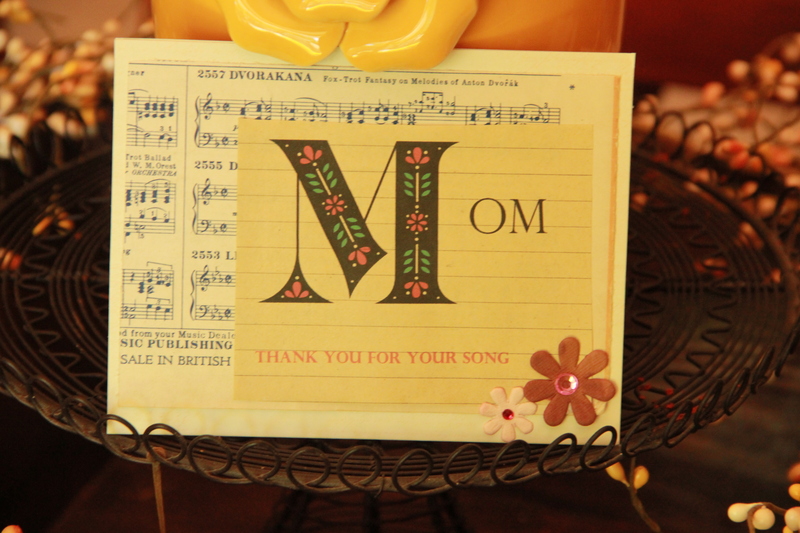 It is also a way for other family members to read the list and feel cherished. And in my house, it makes potty time a bit more cerebral…..
3. 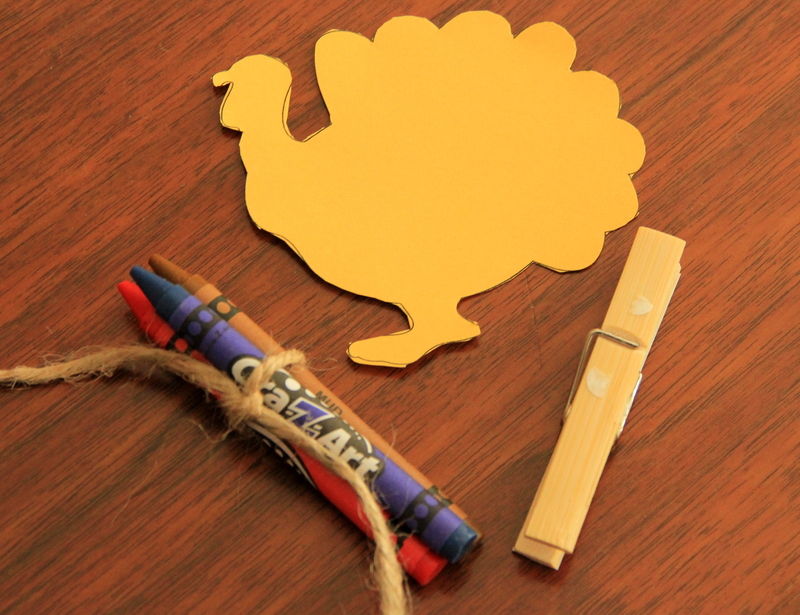 Of course, do a Thanksgiving Craft. 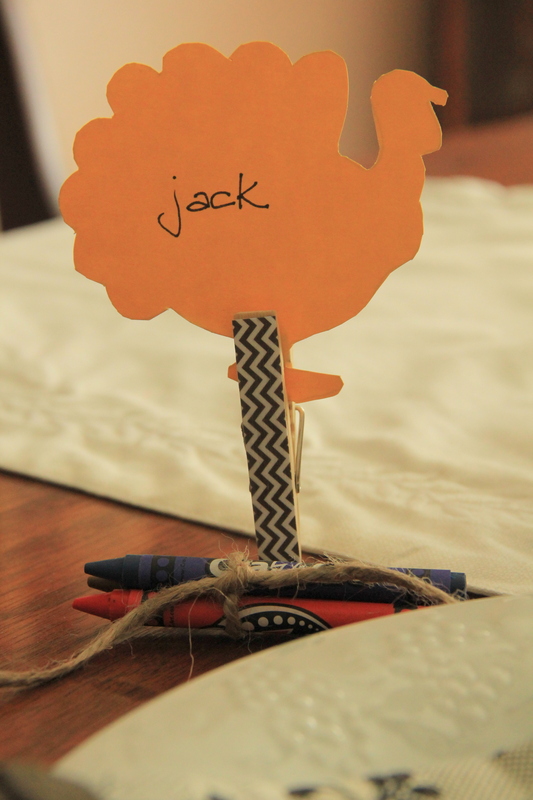 For this cute place card I downloaded an image of a Turkey (or you could do the ol’ trace the kiddo’s hand turkey cut out), covered a clothespin with scrapbook paper and viola….a template to write notes of thanks. DON’T WAIT UNTIL THANKSGIVING DAY TO DO THIS….! Have these at your family table now, so that on Thanksgiving Day you will all have a complete “Thanking Turkey” to adorn your table. 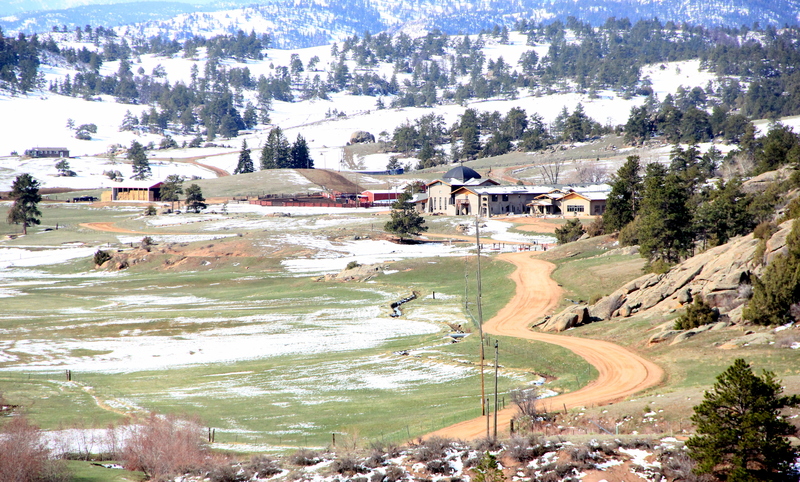 This past weekend I was fortunate enough to spend time at the Abbey of St. Walburga in Virginia Dale, Colorado. 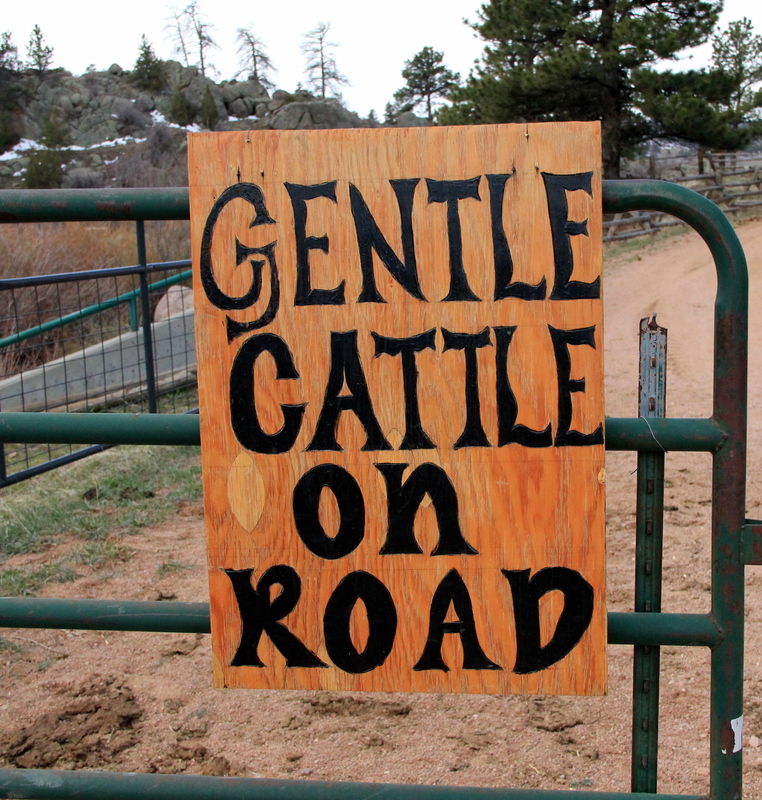 The Abbey is home to 22 Benedictine Nuns who not only offer their beautiful grounds to those seeking solitude, but also run a full working farm–including over 100 head of grass fed cattle. 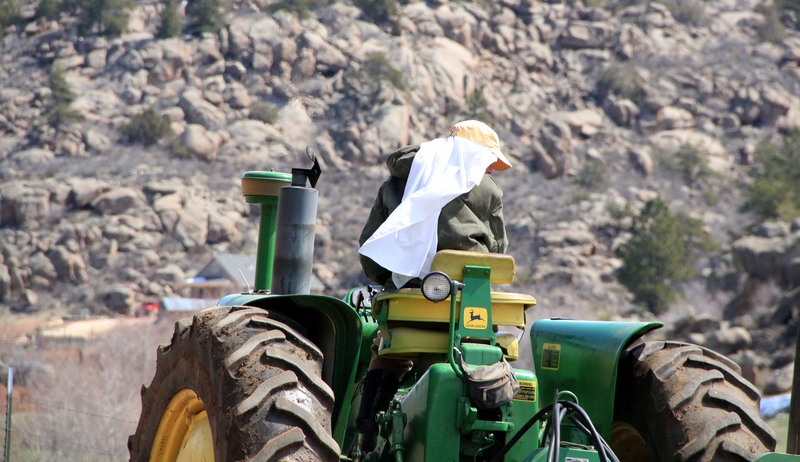 The nuns spend their days in prayer, woodworking, farming, hospitality, jewelry/rosary making and tending to those in need. They are peaceful. They are happy. Truly happy. It was a blessing to spend time with them….their simplicity and gracious spirituality were contagious. 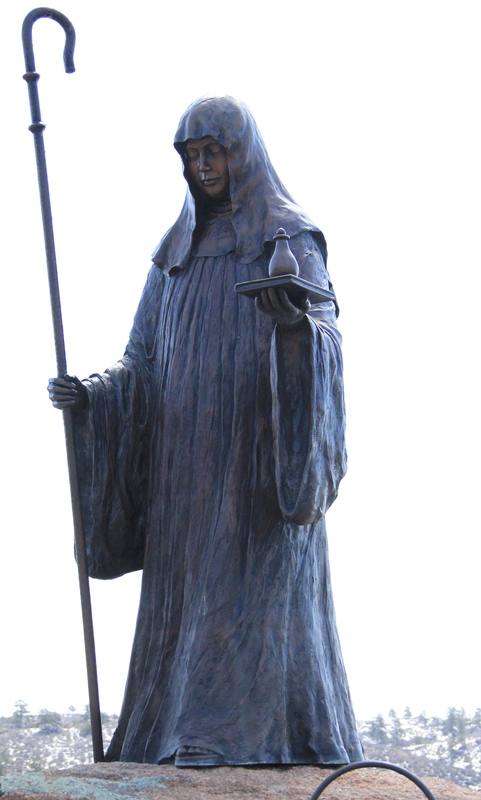 So I offer you this high note for today: the next time the media pushes a frightful image of a Catholic nun with a ruler in her hand, please remember these beautiful images of gentleness…. …and peacefulness at the Abbey. 1 + 100 = a BIG thank you give away! The High Note is celebrating one year and over 100 followers! 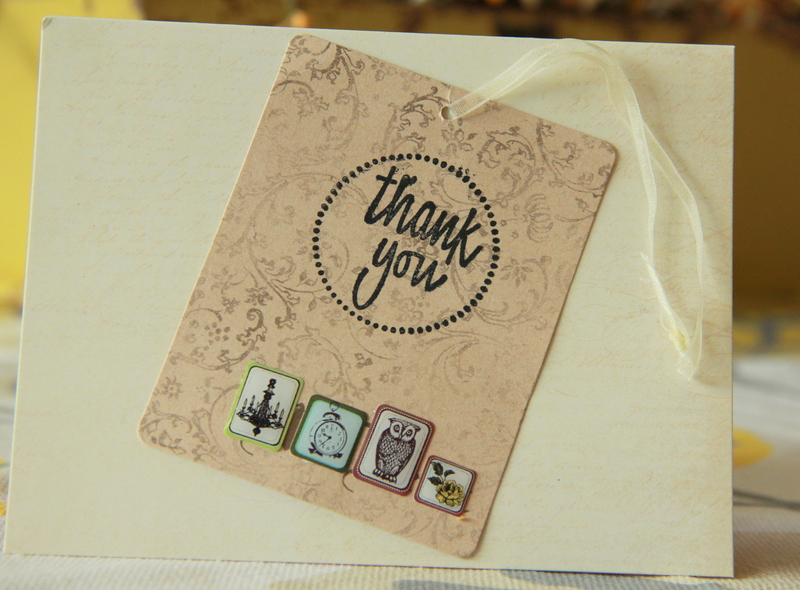 A big thank you to all of you for supporting this fun adventure…. And as a very small token of my gratitude I am giving away a package of some of the goodies the High Note has done this year! Like this post and/or leave a comment here to enter! Winner will be announced Monday 4/22! 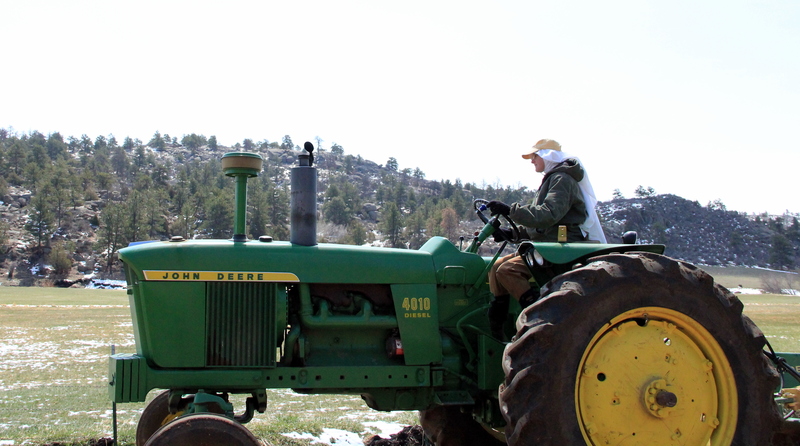 It is a snow day here in Colorado…. The novelty of no school lasted for exactly one hour and three minutes. We then progressed to the “I’m bored” stage of the day which is such a wrist cutting sound clear que to do something fun an creative with the kiddos. In anticipation of our new pup (arriving this weekend!) 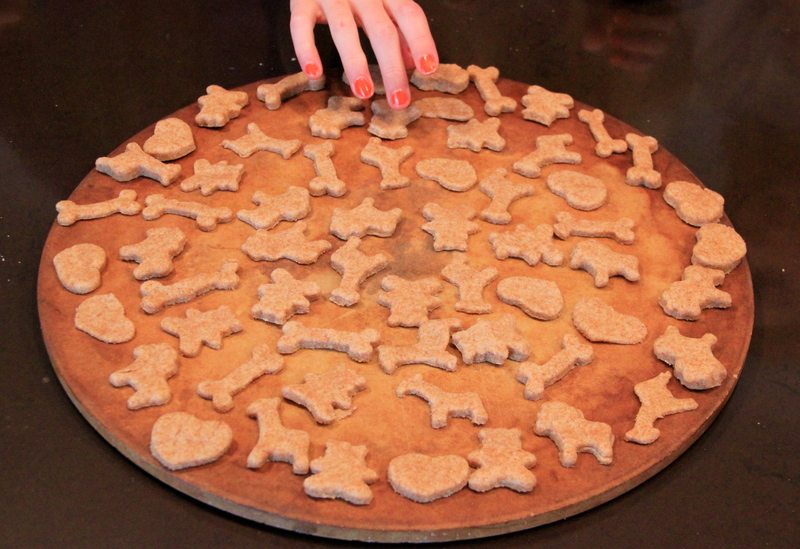 we decided to make homemade doggie biscuits. 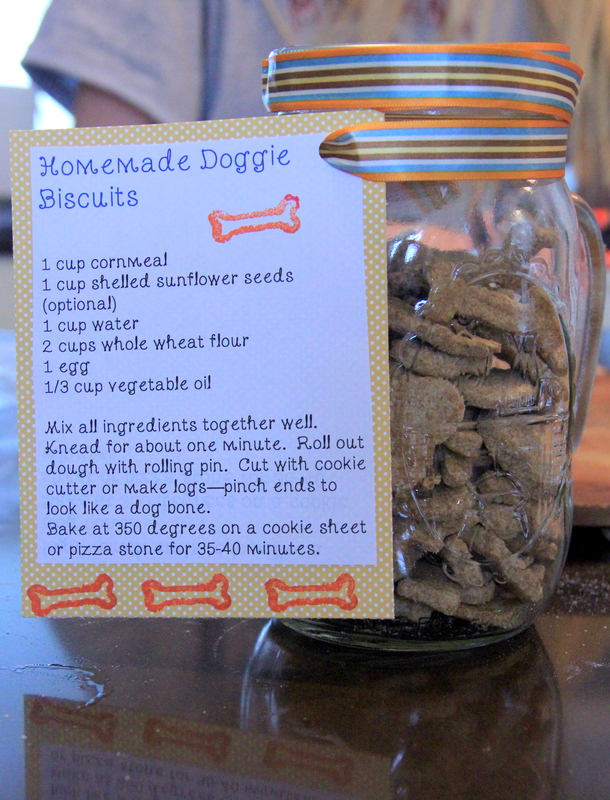 I have had this recipe forever (we had pre-marriage dogs up until a few years ago) and it is all natural and super easy for all to make. Mix all ingredients together well. Knead for for about one minute. 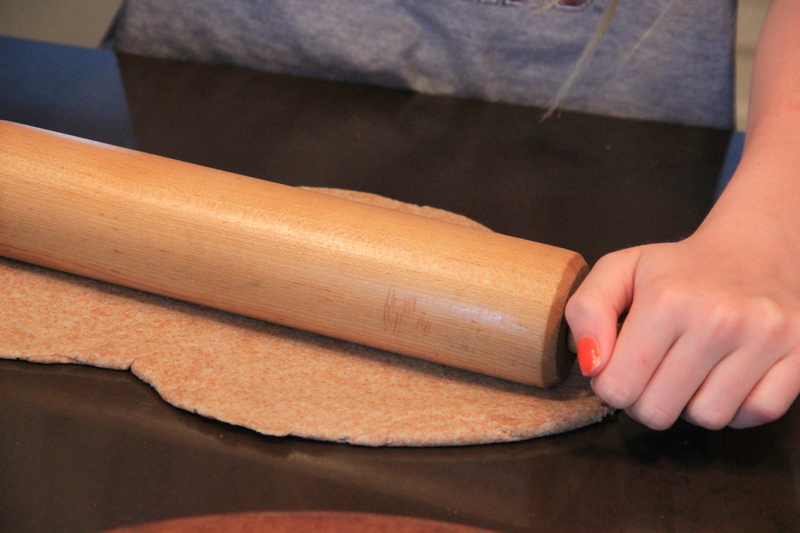 Roll out dough with rolling pin. Cut with cookie cutter or make small logs–pinch ends to look like a dog bone. Bake at 350 degrees on a cookie sheet or I have found a large pizza stone works even better and holds more treats at a time. Bake for 35-40 minutes. 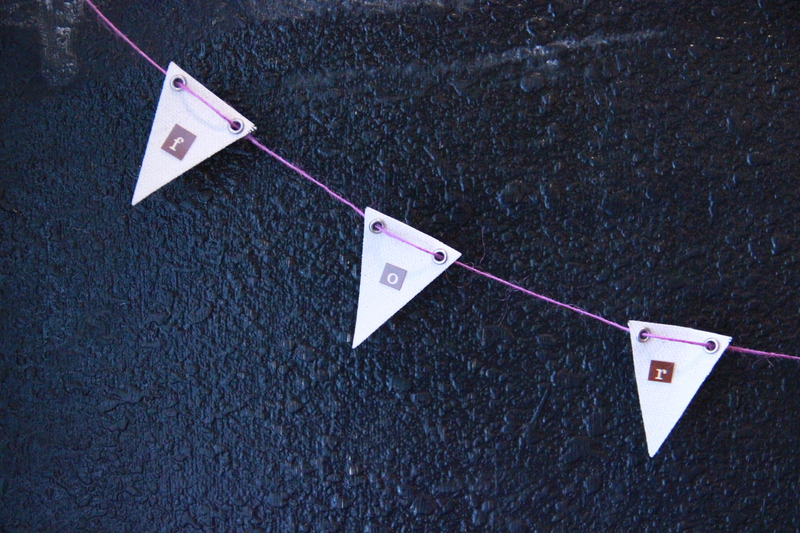 These make great gifts, too! Many a teacher and neighbor have received these over the years from my kids…..
Will send puppy photos next week! Ok…so if you are an avid lover of Peeps….I am sorry for the apparent abuse of your beloved marshmallow buddies…. 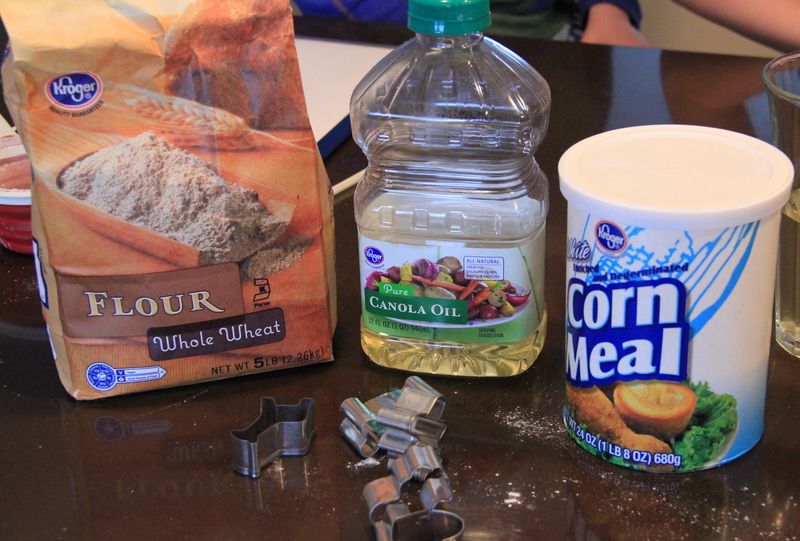 However, if you are like me and are looking for a consumption alternative for these sugary treats…here ya go. 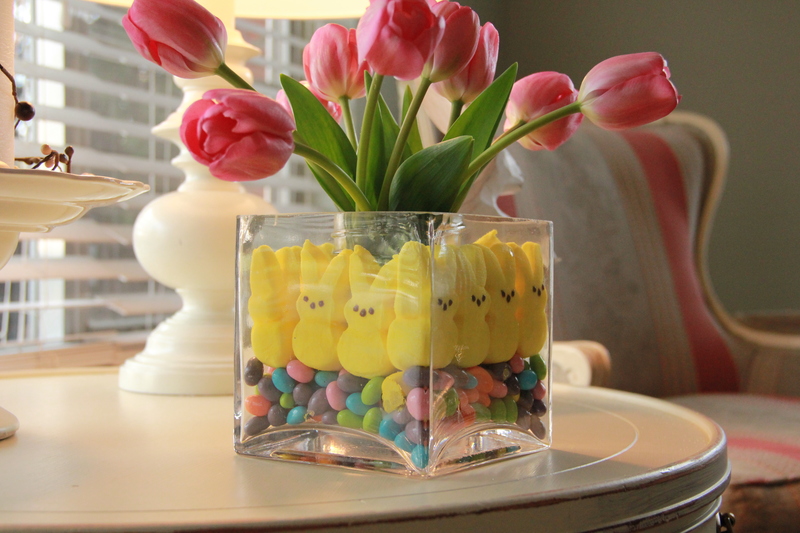 *Insert your Peeps of (bunny or chick variety you choose) around the inside of the vase. They will naturally “stick” to the glass and stay in place on top of your jelly beans. 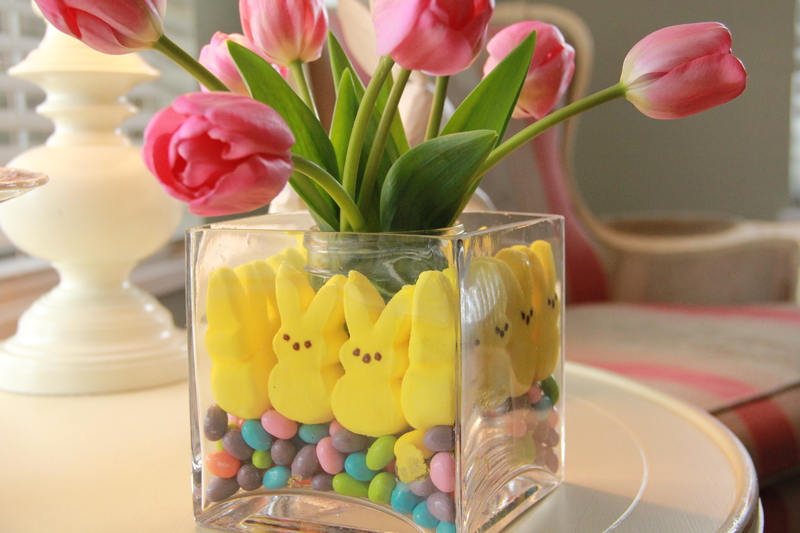 * Put your flowers in the vase and you have a cute table top decor for your Easter table. Check out aponytailkindofday for her version as well! 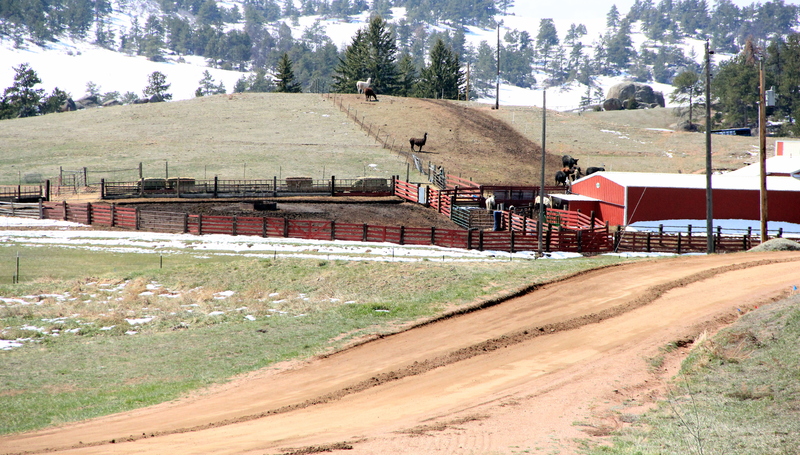 Hello fine people….it is snowing here in Colorado….hard to think about Spring and Easter eggs. 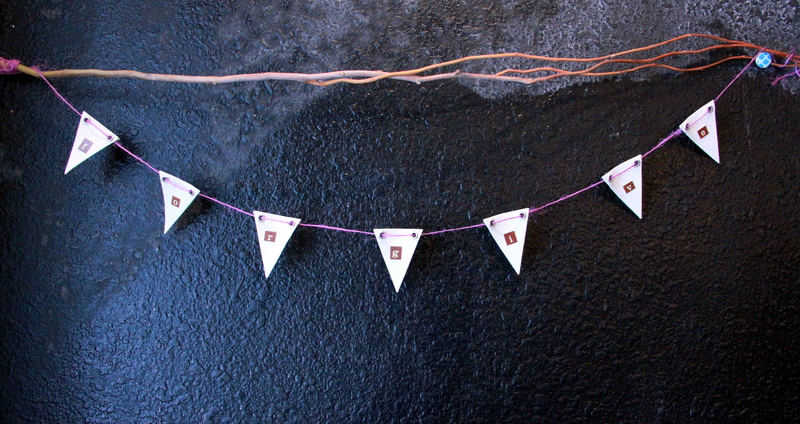 Here is a simple DIY to spruce up your Easter decor and/or tabletop this year. 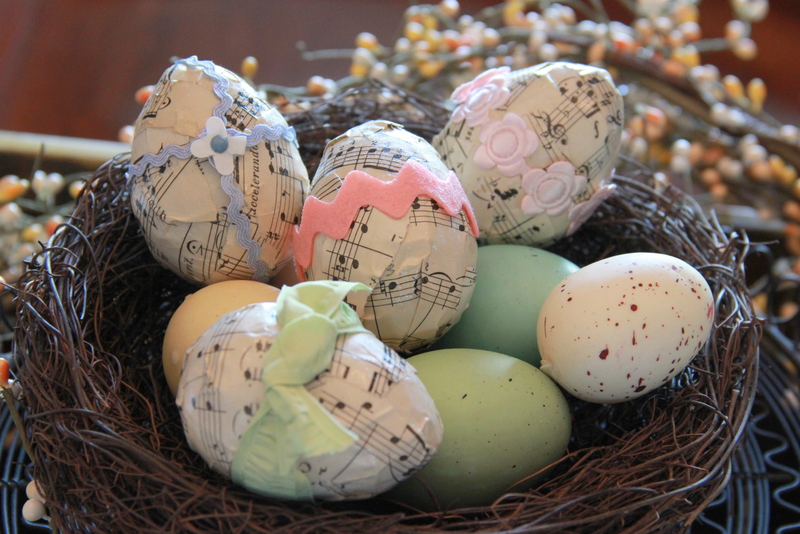 As you know, upcycling antique music is my thang….but you could use pages from a child’s Easter book, dictionary pages from the letter “E” for Easter, or just about any thin wrap-able paper medium. 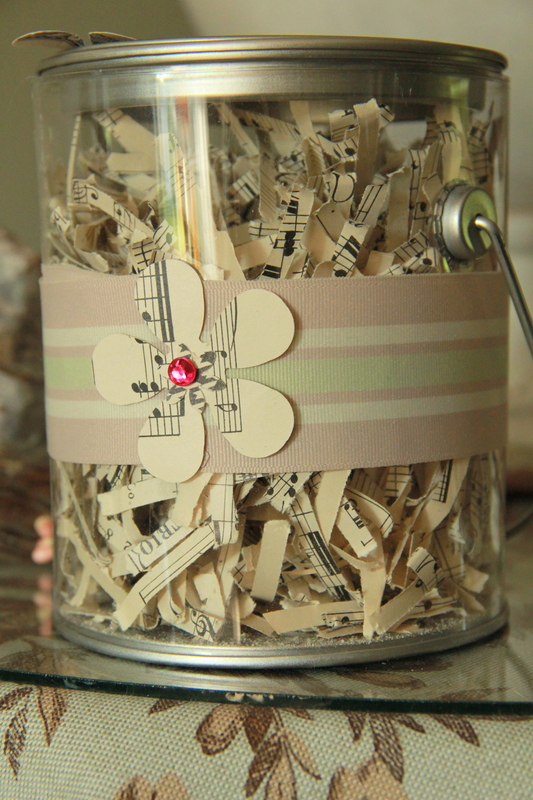 You will begin by ripping or cutting your paper in to strips. 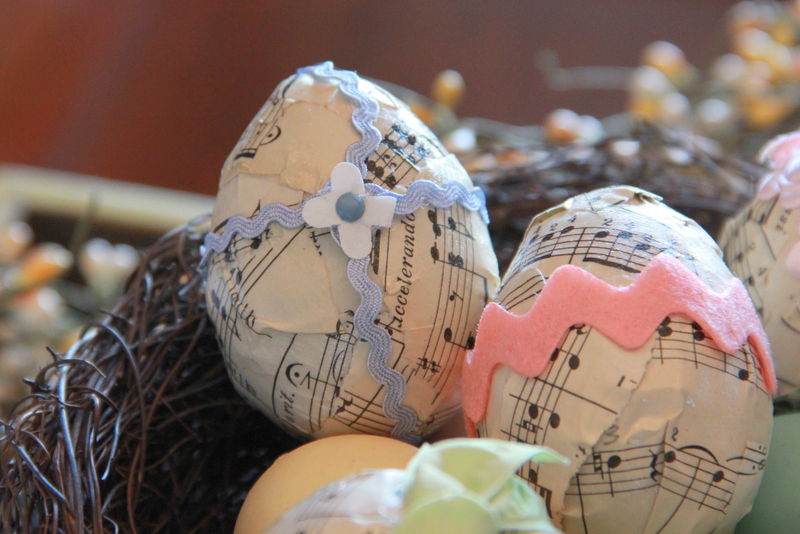 Lightly coat your egg with decoupage using a paint brush. 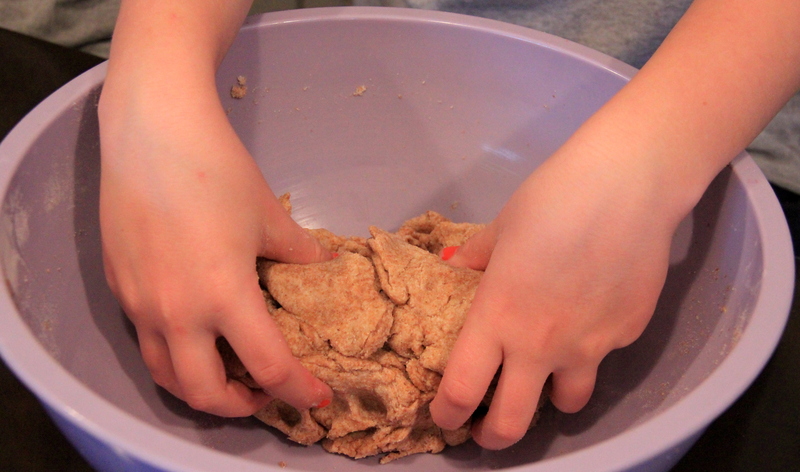 Apply your strips of paper covering the entire surface of the egg. 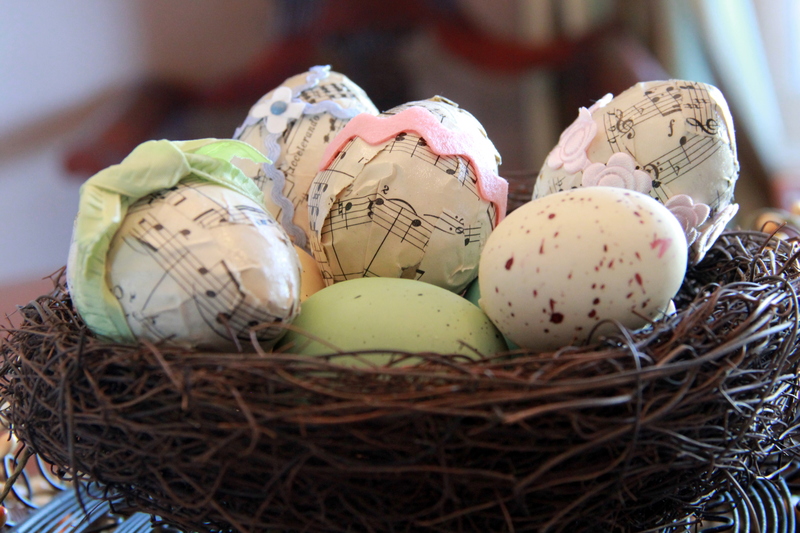 Using your brush, apply a second coat of decoupage over the paper covered egg to give it a nice sheen finish. 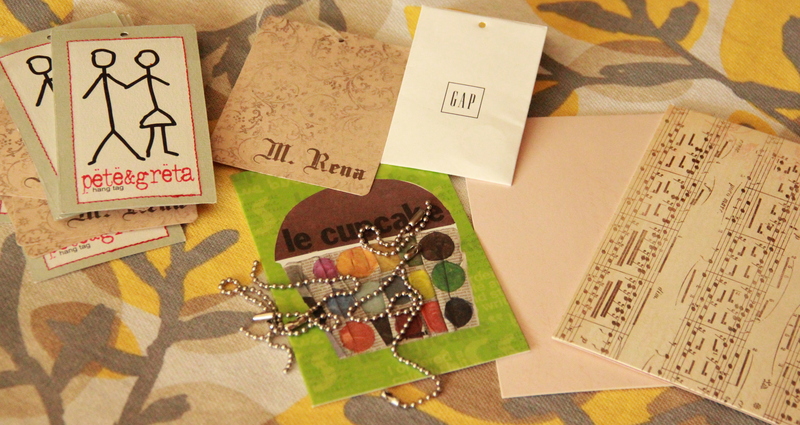 For a more complete tutorial on decoupaging paper click here. 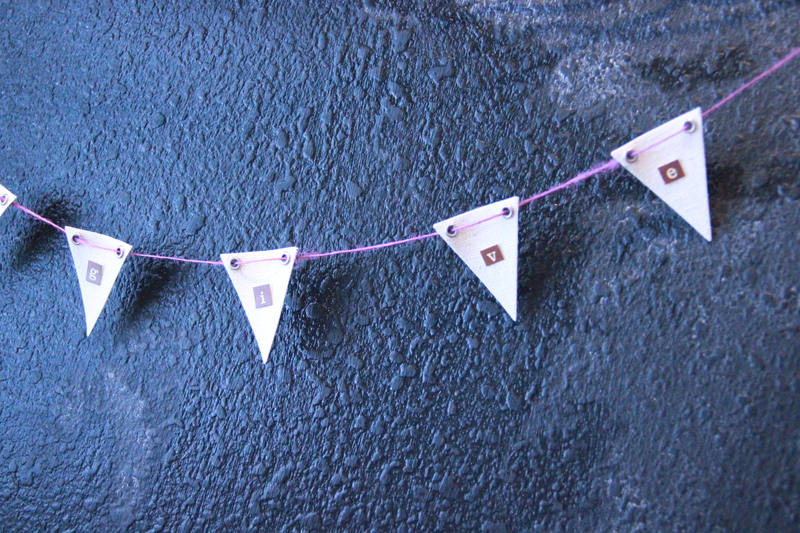 Decorate with ribbon and embellish as you wish! Modge Podge comes in a variety of hues—try this project using Modge Podge “sparkle” for an even brighter effect! It is not an easy word…an even harder task….to forgive. Myself, like over one billion Catholic Christians worldwide, are in the second week of Lent–the forty days before Easter and a time of prayer, sacrifice and penance. When asked what I believe is the thing that keeps our family together I consistently come back to this word. I have to swallow hard and forgive. I close my own eyes, nod my own head and forgive. I have to forgive, not because it is Lent or because it is what I am supposed to do. I have found that forgiveness in a family is essential to our growth as individuals…it is a necessary freedom we give to one another that allows us to be who we are. 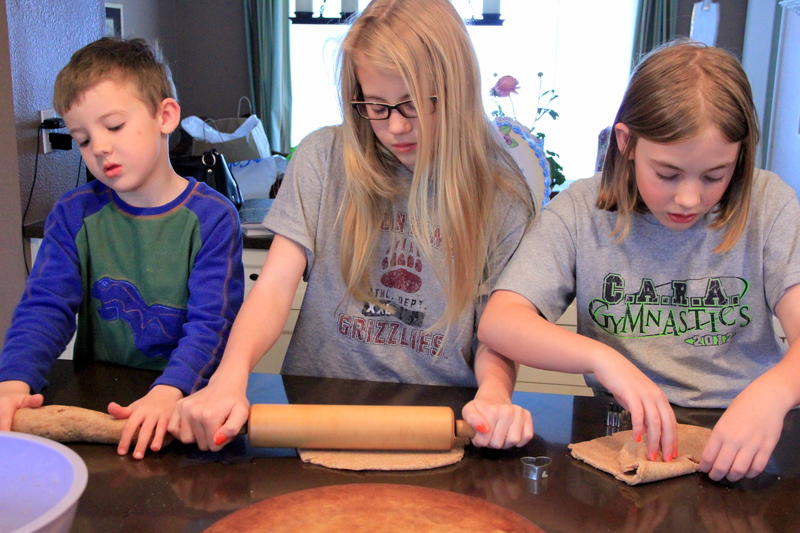 As many of you know, I have three wonderful kiddos….ages 7, 9 and (almost) 11. My eleven year old daughter is part of an amazing group of 5th grade girls. What mother doesn’t worry about their young girls growing up? I am often wrought with anxiety over whether or not my girls will make it through their tweens and teens relatively unscathed. My anxiousness has become assuaged however, by this group of bright, insightful virtuous young women that surprisingly makes up the entire population of 5th grade girls at my daughter’s school. This is a rarity today….indeed. Under the inspiration and guidance of a friend of mine, these girls have started a group. This group entitled “Growing with Grace”, is to ironically, help them to become even stronger and more empowered as girls. They talk about a wide range of issues including bullying, self-image/puberty, friendship, leadership and their faith. Each of them have expressed a desire for a safe place to not only talk about their own stuff, but are using this group as a vehicle to learn how to lift each other up….exercising respect, denouncing exclusion and pronouncing grace-filled acceptance of one another. 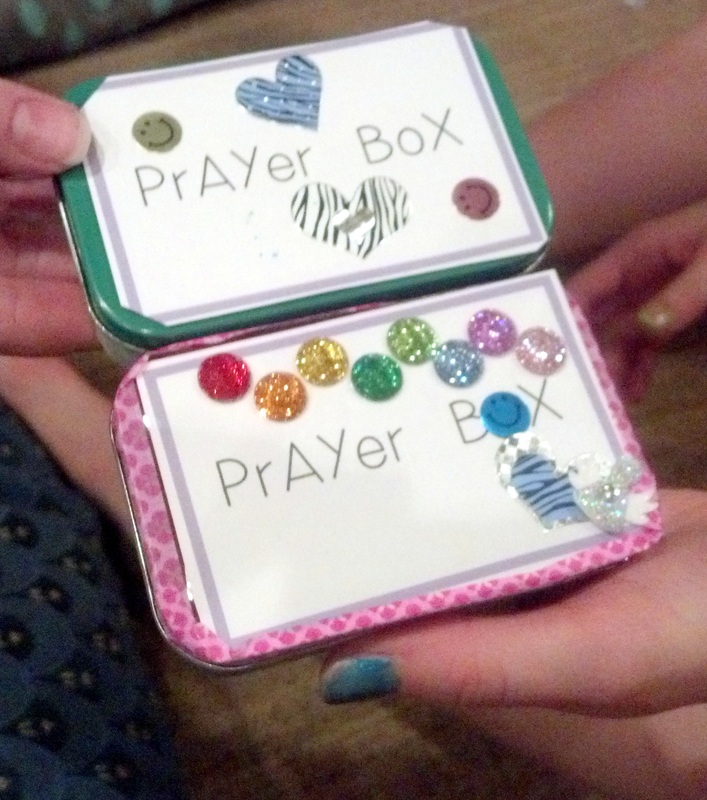 Their activity in the group last night (which I was honored to be a part of) was to create prayer boxes. 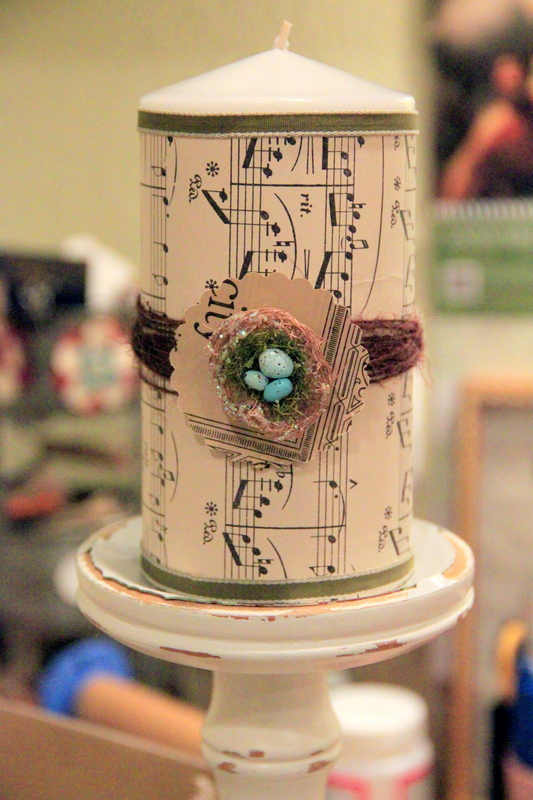 I wish this idea was my own, but I received the inspiration from a store bought item and from a craft Katherine at Pillows-a-la-mode did this summer upcycling old Altoid tins. 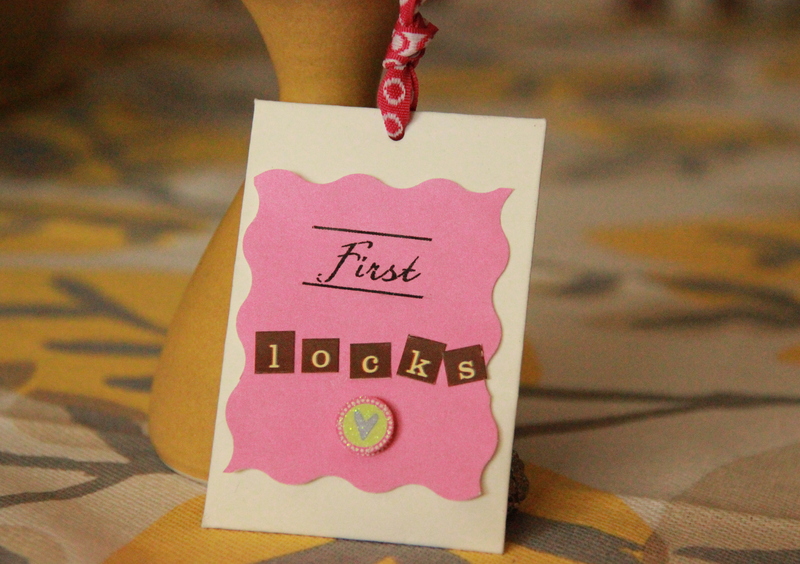 You can check her creation out here. The concept was for the girls to have a place to not only write their own prayers down, but to write down the prayer needs of others. So…we all decorated the empty Altoid boxes with washi tape and flower/gem embellishments, put small sticky note pads/markers in them and all the girls had a unique way to quickly journal any intentions on their hearts for themselves or someone else. 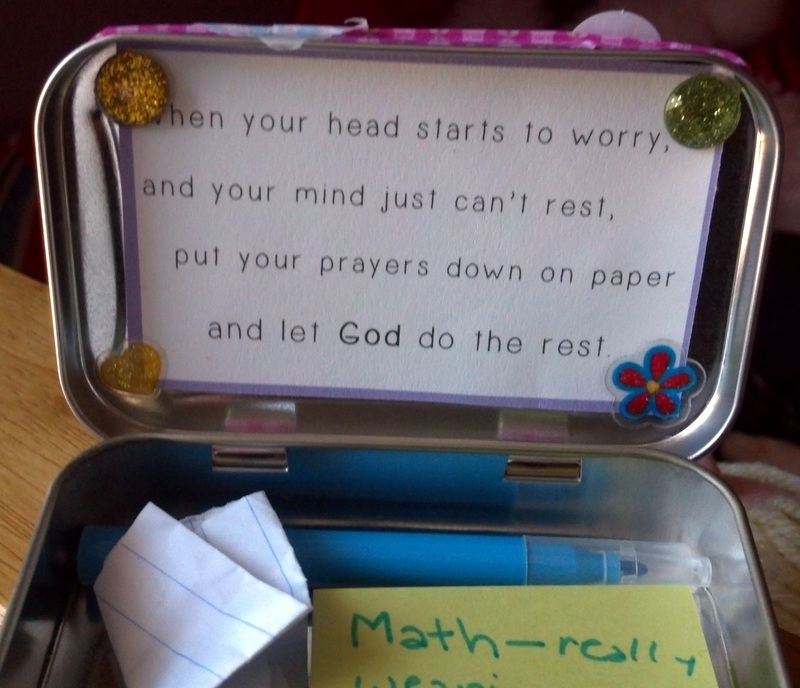 My daughter is apparently praying for a better math grade…..I have to say I really do love this age! !